Found one file extension association related to LeaderTask and 1 file format developed specifically for use with LeaderTask. 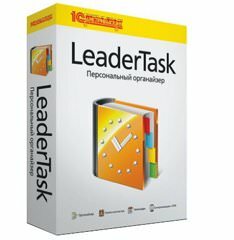 LeaderTask is personal organizer used to managing tasks, meetings and contacts. Assign tasks to your employees in LeaderTask and you will be able to have a clear overview of projects, assign tasks to employees, monitor their progress, have the full history of changes in tasks, projects. Create an integrated information environment in your company where your employees will have centralized access to files, documents, notes, contacts! Find out what your employees spend their working time on. The program tracks time spent working with applications, idle time, time spent on websites, it groups applications and sites by categories (work, Internet, leisure). LeaderTask allows you to keep the relationship history for customers, partners, contacts. Managers can work with customers: add them to the shared database, attach documents, write messages. The director always has the entire relationship history at hand. Distributing the tasks of a project among executors and people responsible for them. Viewing the statuses of projects in real time. Complete control over the project progress. The director can see the employees' business calendars and assign tasks according to these calendars. LeaderTask has a full-featured mail client, you can exchange messages with customers, sort your mail, use message templates, view the message history. You can synchronize tasks with your mobile device and always have the list of your tasks with you. Employees can use chat to exchange messages, files. At the same time a common chat and a task chat are available, which is very convenient for discussing some particular project. The discussion history is kept and available for everyone participating in the project. It is possible to organize teamwork both via the LAN and via the Internet. You can manage employees from anywhere in the world where you can access the Internet. It is very convenient when you are out of office or on a business trip and also it is useful for organizing the teamwork of distributed offices or branches. If you need more information please contact the developers of LeaderTask (Almeza Company), or check out their product website.